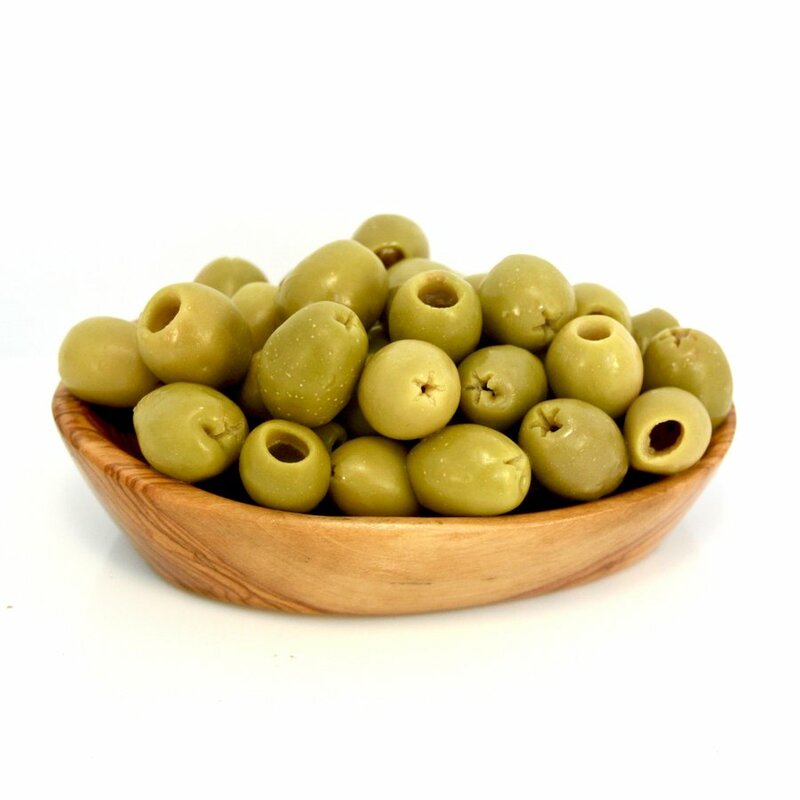 Typically a marinated green olive, without pit, or with "pimento", garlic, almond, or any one of a number of ever-increasing varieties of stuffing. The pimento or pimiento is the berry from which the spice allspice is derived. English explorers coined the term allspice because the berry seemed to encapsulate the flavors of cinnamon, nutmeg, and clove all at once. How this might relate to the flavorless, red, wadded-up thing stuffed in some cocktail olives, we would be hard-put to explain.